HARARE – Several people have been killed during protests in Zimbabwe after the government more than doubled the price of fuel overnight. Hundreds more were arrested as demonstrators took to the streets in the cities of Harare and Bulawayo. Burning tyres have been used to barricade roads and block bus routes. Zimbabwe’s government is trying to resuscitate the country’s struggling economy. Security Minister Owen Ncube confirmed there had been deaths but did not give a figure. He blamed opposition figures and political rights groups for the violence and said an investigation was under way. The southern African nation faces a severe shortage of US dollar cash and confidence in its bond notes, which are supposed to be worth the same as the dollar, is low. “People are protesting now that things are hurting. 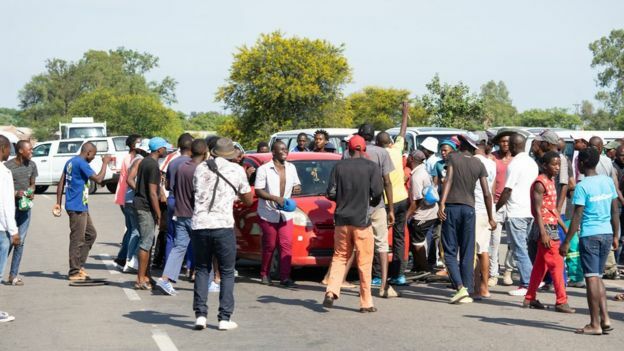 People are suffering,” a protester told the BBC’s Shingai Nyoka in Harare. Many protesters said the president – who left the country on Sunday for a trip to Russia and several central Asian countries – should have cancelled his trip to deal with the crisis. 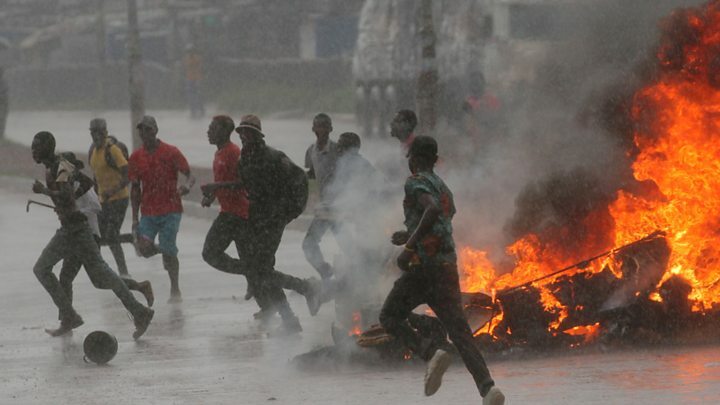 In Bulawayo, demonstrators attacked minibuses heading to the city centre and used burning tyres and boulders to block the main routes into town. Some schools turned away pupils fearing for their safety, AFP says.